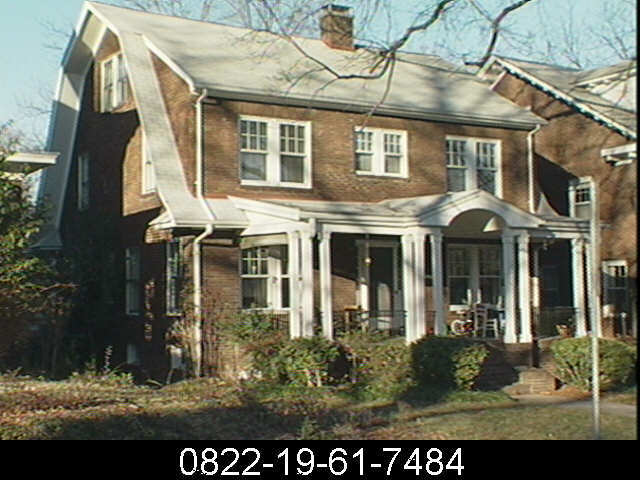 Two-story brick-veneered Period House built late 1920s, reportedly by contractor named Brown. Gambrel roof with deep overhang and almost full-facade shed dormer. Shed porch with gabled entrance bay and clusters of slender box posts shelter most of facade. Front door has broken pediment surround.